This season I have figured out how to eliminate the stress of dandelions taking over my lawn. 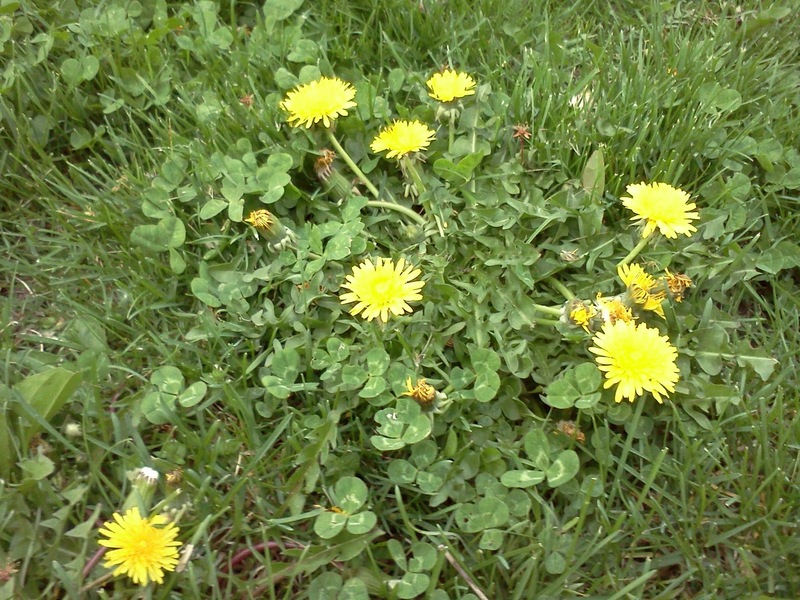 I've decided that I like dandelions, and I have several good reasons to go against the conventional thinking of the stereo-typical manicured lawn obsessed suburbanite. First, consider this: Have you ever had a little girl, perhaps your darling daughter, pick dandelions for you? Have you thanked her and put them in a drinking glass turned vase, for all to see? Or instead did your sweetheart get scolded? Scarred for life. Good job. As Stephen Covey (7 Habits of Highly Effective People) once said, "...grow kids - not grass!" Who here has picked the white dandelions and blown on them, hopelessly helping this species multiply? Bad news for those who take "going green" to the extreme. All those white fluffies are future flowers! There's also a practical side to this. We still use well water, not city water, and it doesn't seem to be a good idea to apply chemicals above our family's water supply. Just a thing I have against drinking toxins. The Traders Point Creamery, an organic farm and dairy on the north side of Indianapolis, has a page dedicated to the benefits of dandelions. According to Traders Point, dandelions are high in vitamins A and C. Imagine: dandelions replacing oranges as the poster child for vitamin C! They also have recipes for sauteed dandelion greens and dandelion scrambled eggs. They also reference this website, Gardens Ablaze. So today I proclaim to the world that a former enemy is now my friend. Dandelion tea time! They kind of bother me, but, I am with you and our water supply.